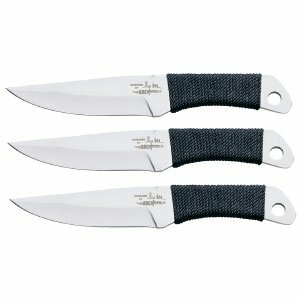 Includes three throwers in a triple pocket sheath. Blade Material: 420 J2 stainless steel. Handle Material: 420 J2 stainless steel, high tensile cord-wrap. Sheath: Black nylon belt sheath.